Witnesses Important to Slip and Fall Recoveries | Hupy and Abraham, S.C.
What Witnesses Are Important to Your Slip and Fall Recovery? How you will prove the property owner was responsible for your fall. How you will prove what your injuries really cost you. These things may be difficult to establish, but it is possible to prove liability and the amount of damages in a slip and fall accident. Eyewitnesses. People who saw you slip or trip and fall may be useful in providing evidence about why your accident and resulting injuries occurred. Medical experts. Your primary care doctor or specialist may be able to testify or provide written evidence about the specific injuries you sustained and their likely impact on you in the near future and for the rest of your life. Property experts. This could include, for example, contractors, builders, property inspectors, and others with the professional knowledge of how the property should be kept and maintained. For example, if you fell on a broken stair, then a contractor or property inspector could tell you if the stair was up to code and what other property owners in Iowa typically do to prevent these types of injuries. Of course, every case is unique and not every case requires the same type of witness testimony. Getting the witness’s contact information at the scene. This is particularly important if you did not know the witness prior to your fall. If he or she was a stranger, then make sure you have the person’s full name, phone number(s), and email address before you or the witness leave the scene of the accident. Not harassing the witness after the accident. After the accident, you should share the witness’s contact information with your lawyer and let your lawyer explain the witness’s role in the case. You do not need to contact or harass the witness. You do not want the witness to become confused, annoyed, or unwilling to cooperate with you. Think about how you would want to be treated if you witnessed someone else get hurt in a fall and think about how your instinct would be to help the victim. The person who witnessed your accident likely feels the same way and may be willing to help with your recovery if she is treated right. 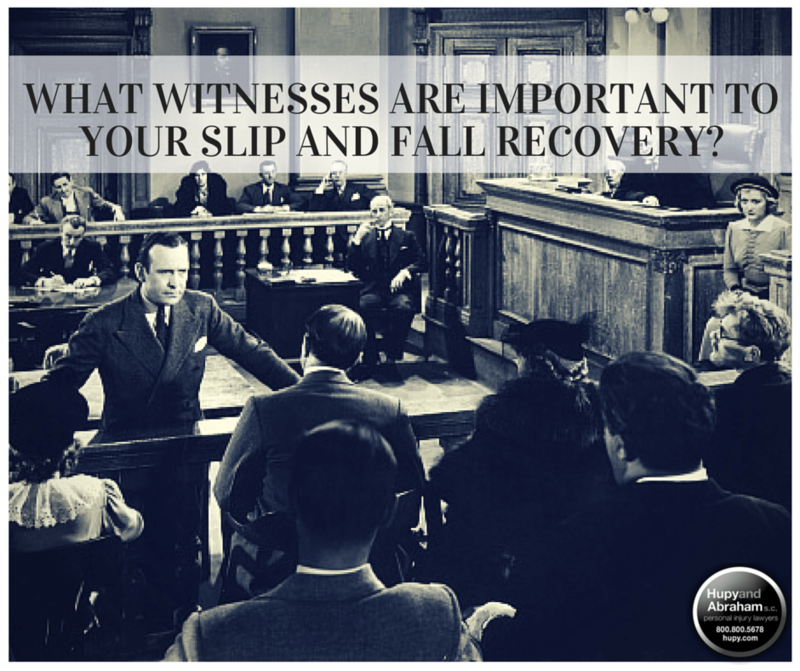 Your injury and your slip and fall lawsuit are not about the witnesses—they are about you. They are about your future. Accordingly, it is important to take the necessary steps to protect your claim, to fight for your recovery, and to make the most of your future. Please contact us today, via this website, to learn more. ?Can I sue an Iowa property owner if I fall and get hurt on snow or ice? ?Will an insurance company pay for my injuries if I’m hurt on someone else’s property? ?When is an Iowa property owner liable for damages in a slip and fall accident?